The gentle and soothing melody of the chimes are a perfect way to honor your beloved animal companion and bring joy to everyone’s heart as the gentle breezes play their songs. The sponsorship of $125 includes a wind chime (made to last a lifetime) and a plaque on the chime sail with up to 10 lines of your personal sentiment honoring your pet in memorial. 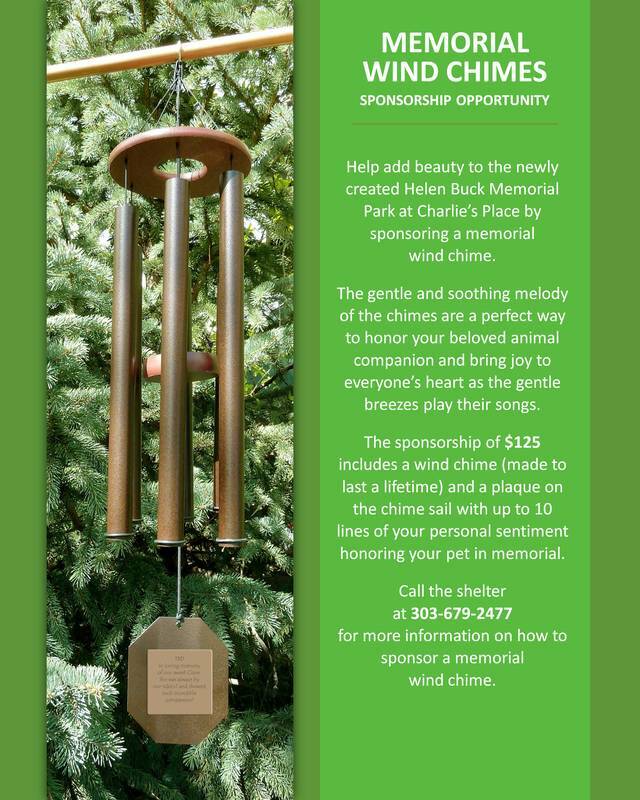 Call the shelter at 303-679-2477 or for more information on how to sponsor a memorial wind chime.